Once a fishing village, today this is a well-known seaside resort. 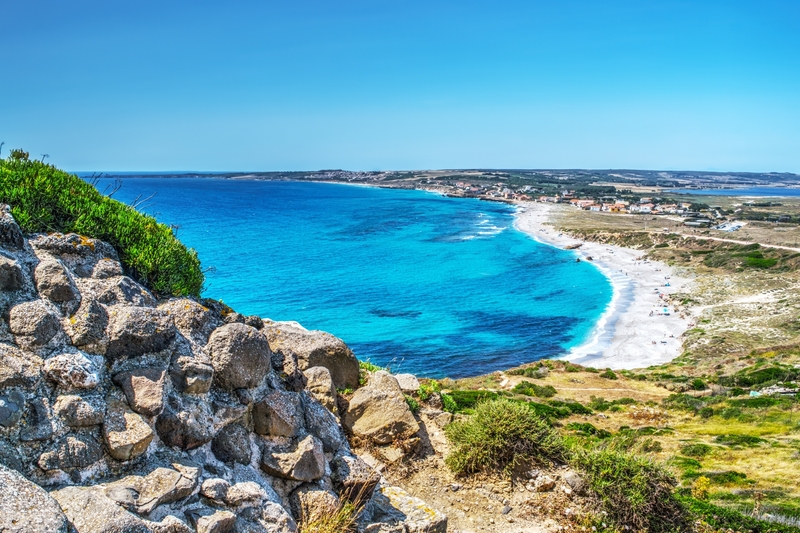 San Giovanni, a village in Cabras to the south of the Sinis peninsula within the protected marine area, is located along the road leading to the ancient town of Tharros and, further south, the scenic Capo San Marco. 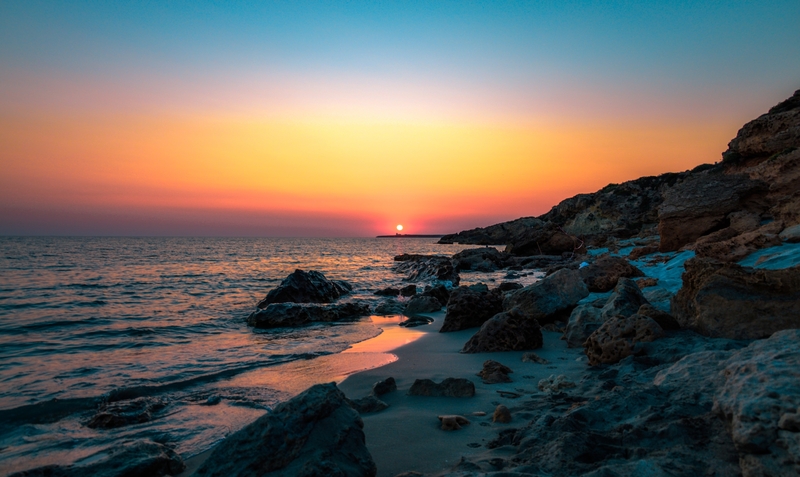 The beach extends for around two kilometres, from the Phoenician-Punic (later Roman) colony to FuntanaMeiga, with a car park including space for campers. It overlooks a crystal clear sea with a seabed rich in sea life, a paradise for diving, snorkelling and underwater fishing. Constant winds also make this a destination for surfers. The landscape of sand dunes is interrupted by sandstone and basalt rocks as well as the suggestive Spanish tower, named for San Giovanni and built by Philip II between 1580 and 1610 to deal with pirate incursions. The tower stands 500 metres from the beach and is accessed by a slightly uphill path. Before becoming a well-known tourist centre, San Giovanni di Sinis was a fishing village, famous for its characteristic rush huts, which were lined up along the Oristano coast right up until the second world war. Today, it is a small village with a bar, restaurants and hotels, which livens up during the summer. In the centre square you'll find a small paleo-Christian church dating back to the 5th century, originally with a Greek cross layout and later rebuilt to a Latin cross plan. In the territory of Cabras, east of Tharros, is the beach of Mare morto, a quiet harbour for yachts, with a kilometre of rocky coast to the west. 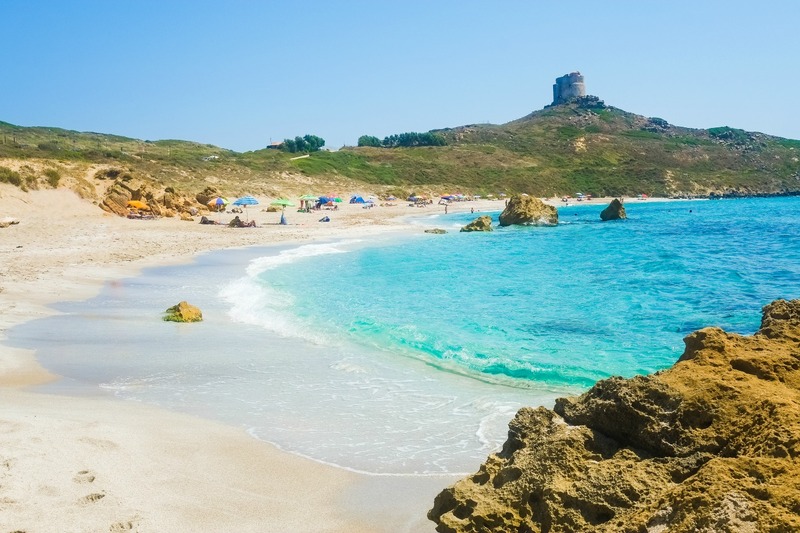 Along the 30 kilometres of protected coastline, which also includes Mal di Ventre Island, the famous beaches of super-fine quartz sand known as Is Arutas, Maimoni and Mari Ermi slope into the turquoise sea,Along the road towards Is Arutas, add a different touch to your holiday by passing through San Salvatore di Sinis, with its Wild West scenery and the location for the Corsa degli Scalzi procession. Moving on from the cliffs and sand dunes towards the centre of the island, you come across the lagunas: the Stagno di Cabras and Mistras, which are stopping points for birdwatchers. In the town, don't miss a visit to the Civico Museo Archeologico, where you can see one of the biggest archaeological finds of the late 20th century in the Mediterranean: the stone statue of the Mont'e Prama Giants, the symbol of Sardinia. Go out of Oristano in the direction of Cuglieri, and at the first intersection near the Santuario del Rimedio go over the elevated section of road and follow the signposts for Tharros. 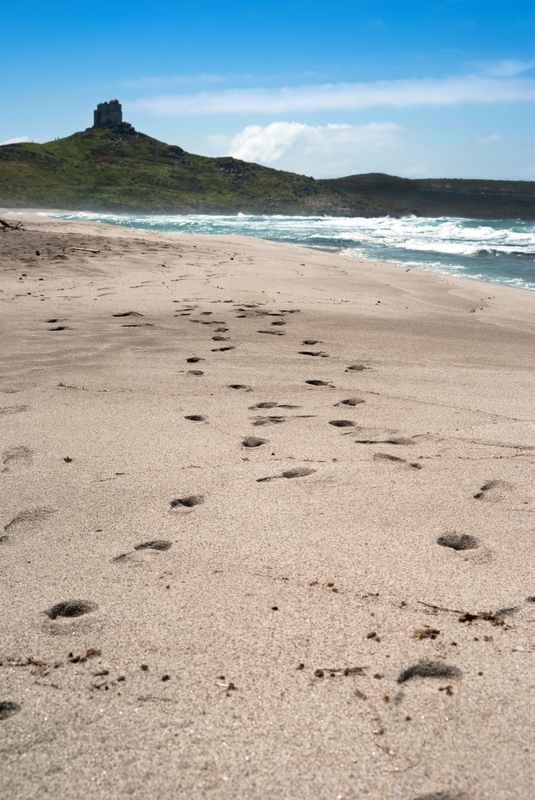 After 20 kilometres, the road ends in the car park of the archaeological Area of Tharros and the beach is found on the right.